On my walk with Finlay this morning I was thrilled when this lovely kite flew overhead. He just glided above me and gave me time to get a couple of shots off before he flew away. Made my day!! Got home and now my legs feel like jelly - hope I feel better tomorrow!! Many thanks for all your lovely comments yesterday and Christmas greetings!! Happy Holidays!! Nice shot. I think he was eyeing you. Feel better. Spectacularly good Pam. A fav. Anther great shot! Lovely wings! Merry Christmas! Oh what a treat, lucky you, such a good shot and a very Happy Christmas to you Pam. lovely capture of this great bird! Merry Christmas! Green with jealousy - overcome happily by the magnificence of this bird! I have wanted a shot of one of these for ages! Beautiful - would love to photograph these birds - we don't have them here! Beautiful, wonderful in flight form. Wonderful capture, Pam! So clear and detailed! Beautiful capture, Pam. Happy Holidays to you, also. @rennes thanks Lisa! Where are you? 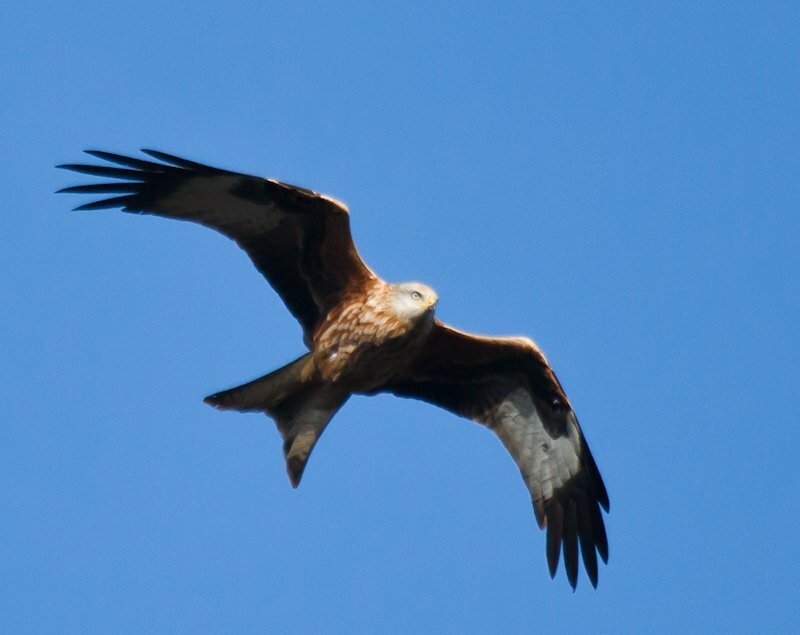 Since the kites were reintroduced to the UK they are spreading quite a way across the country. Good reflexes to nail this guy passing overhead. A fine photo. amazing capture of a beautiful bird in flight. Merry Christmas!